A unique overview of the different kinds of chemical bonds that can be found in the periodic table, from the main-group elements to transition elements, lanthanides and actinides. It takes into account the many developments that have taken place in the field over the past few decades due to the rapid advances in quantum chemical models and faster computers. 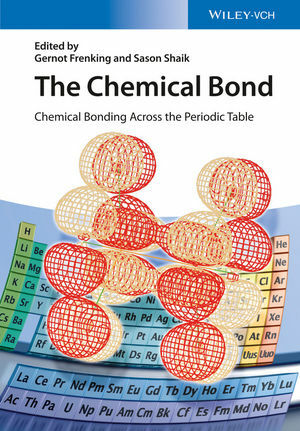 This is the perfect complement to "Chemical Bonding - Fundamentals and Models" by the same editors, who are two of the top scientists working on this topic, each with extensive experience and important connections within the community. Gernot Frenking studied chemistry at the Technical University Aachen (Germany). He then became a research atudent in the group of Prof. Kenichi Fukui in Kyoto (Japan) and completed his PhD and his habilitation at Technical University Berlin (Germany). He was then a visiting scientist at the University of California, Berkeley (USA) and a staff scientist at SRI International in Menlo Park, California (USA). Since 1990 he is Professor for Computational Chemistry at the Philipps-Universität Marburg. Sason Shaik is a graduate of the University of Washington (USA), where he also obtained his PhD. After a postdoctoral year at Cornell University, he became Lecturer at Ben-Gurion University of the Negev (Israel), where he became Professor in 1988. In 1992 he moved to The Hebrew University where he is Professor and the Director of the Lise Meitner-Minerva Center for Computational Quantum Chemistry. Can Triplet Pairs Be Bonded? Does Covalency Increase or Decrease across the Actinide Series? How to Recognize Aromaticity and Antiaromaticity?